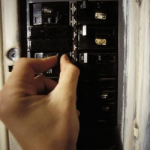 One of the most straightforward electrical improvements you can make is replacing old outlets and switches. 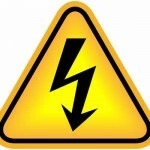 Loose outlets and old switches can lead to an outlet fire and electric shock. Replacing them with new units is an easy and effective way to prevent more serious problems. If you’ve already experienced an outlet fire, sparks coming from an outlet, or smoking outlets, shut off the power to the outlet and call an electrician immediately to check if the outlet fire caused more significant damage that needs to be dealt with.